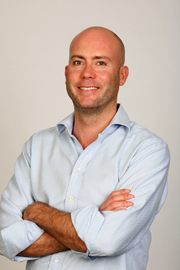 Stuart Kirk recently took to the helm of the Financial Times' stateside Lex column as its US editor in New York. The column provides both commentary and critical analysis of financial and business matters. Previously, Kirk was a Lex columnist in London, and prior to that worked at a management consultancy that focused on financial services. PRWeek: Any changes in the past three months, since you've taken over the Lex column? Stuart Kirk: No changes in those three months: the US economy descending into the abyss and the new president, just two minor things…Lots of auto bailout notes we've had to do throughout the course of the three months, as well. PRWeek: What topics have you found readers being most interested in? Kirk: We get interesting feedback from our US readers. We actually hear that they're interested a lot in our overseas Lex notes, as well as our US Lex notes. So, we try to keep a balance between the things that are going on in the US and also informing our readers about overseas matters. [US Readers] have a host of different papers and Web sites to read about US news, and the obvious strength of the Financial Times relative to our competitors is our overseas correspondents and offices. So, we try to give them a blend of both. PRWeek: Psychographics-wise, what would a reader of your column look like? Kirk: We have a broad range, but we do know that it's very widely-read in C suites, by CEOs, CFOs, etc. It's also read by people who are taking longer-term strategic outlook. In the FT, we have something-else called Alphaville, which is more read by short-term traders. But, the people who read Lex are the people that want global news distilled into 300 words, where you don't really need to read anything-else. So, they tend to be busy pinion formers. PRWeek: In terms of the financial crisis currently happening in the US, what are some particular areas that you're starting to focus on more and more? Kirk: About a year ago on Lex, we started to write about deflation, while everybody was worried about inflation. One of the big themes that we're looking at, at the moment, is possible returns to fears about inflation again. That's a big topic, and I think one that our readers are very interested in. The second one is fiscal spending by governments all around the world, and whether governments are basically going to bankrupt countries. That's another big topic. The Euro is also an extremely big topic particularly for our UK and European readers, and all of these European countries considering whether to go into the Euro or even to leave the Euro. And, in the US, obviously, the Detroit bailout story is just fantastic. It keeps running and running. PRWeek: Where would you say that PR pros are more helpful or a hindrance to getting to the story? Kirk: It depends on what sort of story it is. If we are running with the story, they are very helpful to us in the US. What is unhelpful to us, [are the] pitches directly to us by phone in the morning about topics, which had you read the column you will know, we never write about. PRWeek: Typically, what are the qualities that a good pitch would have? Kirk: As well as writing about topics of the day, we also do a lot of our own analysis and do some very serious thought pieces. But, what we also try and do on Lex is to have a little bit of fun, and come up with notes that no one else is writing about: quirky, funny, interesting, original. And, so PR performs a very useful role in bringing new, original ideas to us. In that respect we don't care what they are. So, I always tell PR [professionals] to ring me, no matter what, if they've got an original idea. PRWeek: What's one Lex note that's run in the past few weeks, generated by a PR pitch, that you thought was particularly good? Kirk: I know that we did a note on state spending, which we got some data from a PR firm. I know on the financial side, there have been a number of studies on CEO behavior and boardroom behavior that we've run with. So there've been a couple. PRWeek: How do you make sure you hit that right note between substantive analysis and humor in Lex? Kirk: That's the purpose of Lex to balance original analysis with a sense of fun and interest. And, that's basically the way we hire people that have come from strong analytical background, but also like to present strong ideas and arguments in an interesting way. And…that's we find people continue to read the column: to try to distill very difficult issues into fun explanatory notes…You should be able to explain anything on planet Earth in 315 words…I think we all take a wry look at the world in Lex. And, it's been encouraged. Humor is an excellent tool to get concepts across and to keep the reader reading. PRWeek: Where were you prior to Lex? Kirk: I was a management consultant for two years. And, I was a portfolio manager at an asset management firm for 10 years before that. PRWeek: Is this type of background necessary in order to properly evaluate and clearly report these kinds of stories? Kirk: It's very useful. It's not absolutely necessary, The majority of Lex writers in the team around the world do have come from industry backgrounds. But, we also have people who are experts in politics and policy and that sort of thing. But, having a blend of people in one place, so that we can all help each other is absolutely essential because we do a lot of number crunching. PRWeek: In terms of the New Year, what are you looking forward to covering? Kirk: Obviously, the first term of the Obama presidency will occupy the first half of the year, and now that the Detroit situation is on hold probably until the next year, that will be a fascinating start to 2009. And, then as the year progresses, we'll have to see whether the various bailout measures for this economy will actually work. And, then later on in the year, the interest will turn to Obama's fiscal package and the millions of bridges and roads and hospitals and footpaths that are going to be built around the state. PRWeek: Any projections for next year? Kirk: As a whole, we're probably pretty negative for next year. We don't see any signs of a turnaround. We tend to try to be contrarian on Lex, and take the opposite view to the consensus, but I have to say I haven't seen anything out there that makes me overly optimistic for markets or the economy for next year.